4B2-M21B - This is a Spring Pistol M21B Airsoft Gun. This is a fun Airsoft gun for someone of any age. It is 8.5 inches long. This gun shoots at 262 FPS with .12g BBs and has a 9 round magazine. 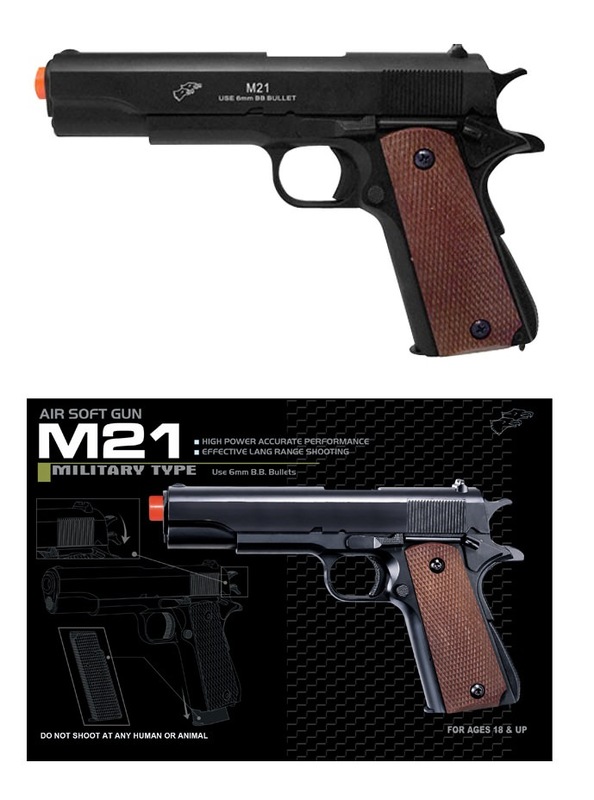 This is a Spring Pistol M21B Airsoft Gun. This is a fun Airsoft gun for someone of any age. It is 8.5 inches long. This gun shoots at 262 FPS with .12g BBs and has a 9 round magazine. Range: 60 - 75 ft.